ToF | Adventures of a Funky Heart! My friend George spoke at the recent Lobby Day event in Washington DC. I wish all of you had been there to hear him. Like many of us there, George has a Congenital Heart Defect (CHD). His defect is Tetralogy of Fallot (ToF) and he is a retired Pathologist from out West. That’s right – a retired Pathologist. I’m not going to insult him by listing his true age, but George worked a full career with a major heart defect. He’s quiet and unassuming, probably the result of his years in the medical field. Pathology is a very scientific branch of Medicine; attention to detail is a must and you do not jump to conclusions. So when George stood up to speak, I wasn’t expecting what came next. Holding a copy of Helen Taussig’s book Congenital Malformations of the Heart is almost like holding a copy of scripture. This is where it all began: before publication of this book in 1947, there was almost no understanding of Congenital Heart Defects (CHD). No way to diagnose them. No field of Pediatric Cardiology, barely any heart surgery to speak of. Very few survivors. No groups like The Congenital Heart Information Network (TCHIN), Mended Hearts or the Adult Congenital Heart Association (ACHA). Hardly anything. And certainly no Adventures of a Funky Heart. She was years ahead of her time. Taussig wrote an entire chapter concerning a defect she described as “Atresia or marked hypoplasia of the aortic orifice prevents the expulsion of blood from the left ventricle in the normal manner. In such abnormalities the development of the left ventricle is also usually defective.” This defect is almost certainly what we know today as Hypoplastic Left Heart Syndrome (HLHS). Other records exist that actually predate Congenital Malformations. Alfred Blalock’s surgical notes from the first Congenital Heart Surgery (later known as the Blalock-Taussig Shunt) have been saved and are online. You can read them here. (Page 1 Page 2) And here is a photo of the clamp that Vivien Thomas designed for the surgery. The first operation occurred on November 29, 1944. Blalock and Taussig wrote a paper about the shunt that was published in the Journal of the American Medical Association on May 19, 1945, that brought the news to the world. (Here’s a drawing from that article). Normally works in medical journals are not noted in the public press, but a medical reporter who was actually a doctor (and not a well informed amateur, as many of them are) read the article. He wrote a short blurb about it that was printed in his paper and picked up by the wire services. And the people came. At first they went to their local doctors, to find out all they could about this new operation. 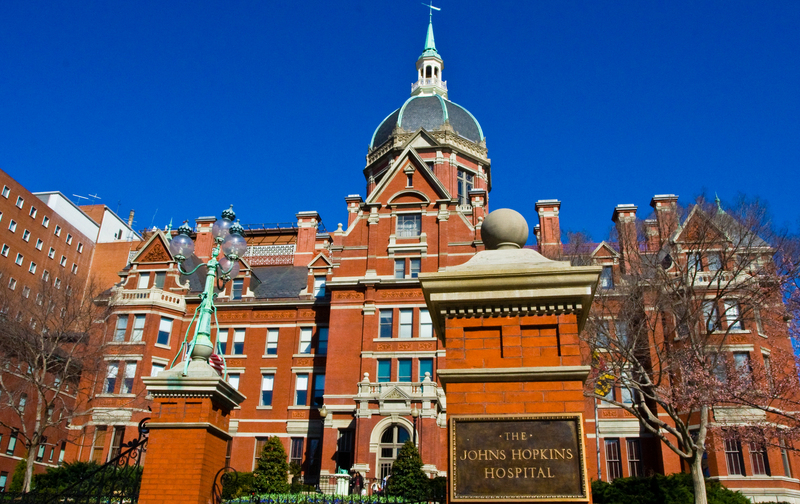 And then they came to Johns Hopkins Hospital…on the train, in cars, and some of them actually walked, bringing their sick children to the one place that might could help them. Blalock and his team actually performed an estimated 300 heart operations in a single year. The American Weekly printed an article about Taussig, Blalock, and the B-T Shunt in its February 17, 1947 issue and still more people came. And in late 1947 Congenital Malformations of the Heart was published. The life changing surgery was only designed for Tetralogy of Fallot (ToF) patients, but now there was a way to figure out exactly what was going on in a defective heart, and with knowledge came a chance. I think Dr Taussig would be thrilled with the results of recent advances in vascular surgery.